With deep regret, I must announce the cancellation of the 2019 Media Future Summit. We were never able to secure a sponsor, and it is not an event that can be operated at a loss. As you know, this project has been dear to me for five years, since I began working with Professor Yoram Wind of the Wharton School, Dean Michael Delli Carpini of the Annenberg School and Ken Fadner of MediaPost to seek solutions for an ethical, sustainable media economy and the free press it has for centuries supported. Especially in this political moment, the stakes could not be higher. I suppose there is some irony in the fact that the same revenue crisis that is harming the media sector has played havoc with the MFS. Not funny ironic. Dark ironic. While this turn of events doesn’t necessarily bury the Summit forever, let me just say that is has been my pride and my pleasure to work with all of you lo these past five years. The work we have done, in my view, has been useful. The problems we faced are daunting. The conversations we had were important. Thank you from the bottom of my heart for your support, your commitment and your contributions, intellectual and financial. It has been a joy to labor in your midst. Many of you are aware of another project that Jerry Wind and I have undertaken, the Purple Project for Democracy (working title), a media and education campaign of unprecedented scope to renew faith in, understanding of and enthusiasm over our nation’s democracy. We have been in stealth mode for six months and will be announcing ourselves before spring, included our large and ever-expanding coalition of supporting institutions and media partners. I hope you will join us in that effort. Meantime, allow me to particularly single out our MFS producer Laura Daly, who has worked heroically from the beginning to bring our Summits off. Once again, many thanks to you all. It has been an honor. A collaboration between the University of Pennsylvania’s Annenberg School for Communication and Rutgers University’s School of Communication and Information. MediaPost Communications (www.mediapost.com) is an integrated publishing and conference company providing a wide array of resources to media, marketing and advertising professionals, producing more than 30 conferences each year, seven annual award shows, fourteen news dailies and more than forty industry-focused newsletters & blogs. MediaPost is committed to providing a premium level of content in all publications and conferences. The company, founded in 1996, is New York based and privately held. Bob Garfield is a columnist, critic, broadcaster, author and lecturer who has devoted his career to the media and marketing landscape. 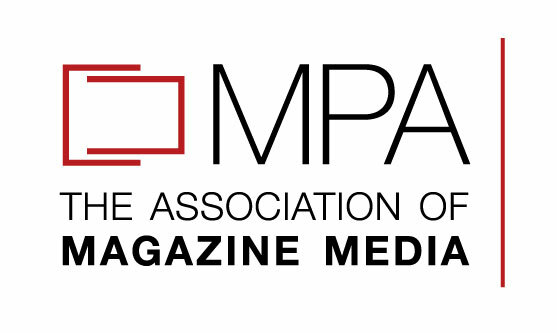 A MediaPost editor-at-large, he previously spent 25 years as the advertising critic for Advertising Age. For the past 15 years has been co-host of public radio's “On The Media.” A recipient of many journalism awards, including the Peabody, he is the author of five books and has lectured in 37 countries on six continents. A visiting lecturer at the University of Pennsylvania, he is also a senior fellow at the Wharton School's SEI Center for Advanced Studies in Management. His seminal 2007 book, The Chaos Scenario, presciently described the apocalyptic disruptions of the media economy in the digital age. More like a membership society than an ad hoc event, the MFS signifies an ongoing commitment, leadership role and influence that can be marshaled at only the highest levels of ownership and management. An invitation is recognition of just that influence.